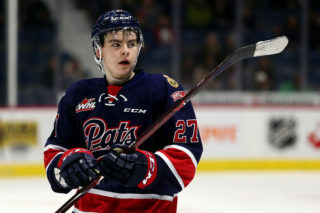 Regina, Saskatchewan – Regina Pats Head Coach and Senior VP of Hockey Operations John Paddock announced today the team has acquired over-age import forward Pavel Padakin from the Calgary Hitmen in exchange for a 2017 3rd Round WHL Bantam Draft pick. A native of Kiev, Ukraine, Padakin suited up in 137 games for the Hitmen since the 2012-13 season. Padakin scored the 50th goal of his career last weekend and has 93 points (50G, 43A) in his WHL career. Padakin plays with some edge having picked up 144 penalty minutes over the past two seasons. He also features 18 games of playoff experience, registering six points (1G, 5A) in those games. The 6’0”, 204 lbs. right winger just returned from Calgary Flames Training Camp and was also invited to their development camp in 2013 and 2014. Internationally, Padakin has been a member of the Ukrainian U18, U20 and Men’s National Team. 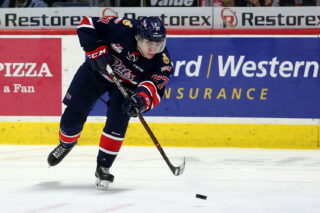 The Regina Pats also announced the release of import forward Maximilian Kammerer (’96). 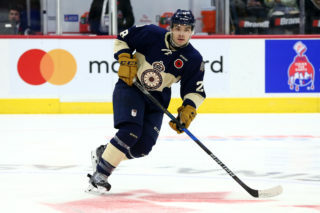 The German forward was a 2nd Round pick of the Blue and White in the 2013 CHL Import Draft and played for Team Germany at last year’s World Junior Championship. 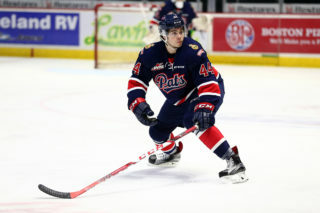 The Pats thank Max for his contributions to the team and wish him the best going forward. The Blue and White return to action Friday night against the Moose Jaw Warriors at Mosaic Place. 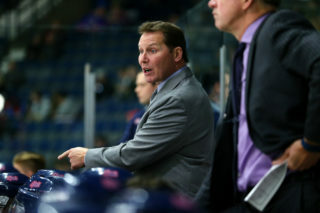 The road game can be heard on Home Depot Pats Hockey on 620CKRM.com starting at 6:35 p.m.